Ben Tenzer recently completed his second season as Nuggets Director of Basketball Operations, working closely with Team President Josh Kroenke and General Manager/Executive Vice President Tim Connelly on day-to-day management and operational issues, with a focus on the salary cap and the NBA’s Collective Bargaining Agreement. Tenzer, 30, rejoined the Nuggets organization in 2013 after previously working in various capacities for the front office from 2006-2010. His background includes working for the NBA Summer League in Las Vegas from (2006-2013), Adidas Nations Camp for gifted high school athletes and the NBA’s global outreach program, Basketball Without Borders in South Africa. He also worked for Wasserman Media Group, an international sports, entertainment and management firm. 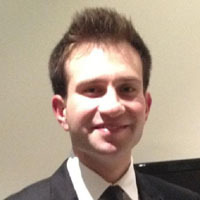 Tenzer, a Los Angeles native, is a graduate of the University of Colorado, Boulder, and Southwestern School of Law in Los Angeles. He is a member of the State Bar of California.